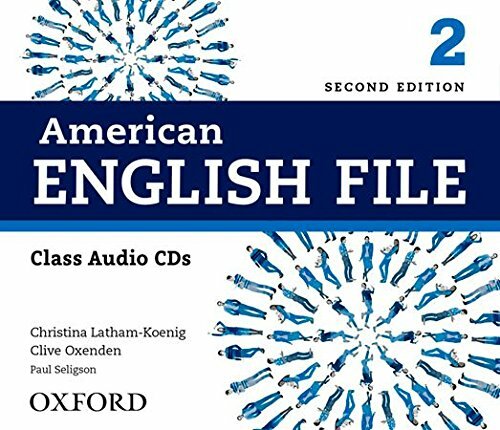 American English File 2E 2 Class Audio CDs by Oxford University Press at Spring Brook Audio. Hurry! Limited time offer. Offer valid only while supplies last. American English File gets students talking thanks to its unique and proven formula combining confidence-building, opportunity, and motivation. American English File gets students talking thanks to its unique and proven formula combining confidence-building, opportunity, and motivation. High-interest content is organized in lively, achievable lessons, using humor and imagination to encourage students to communicate and enjoy learning English. Solid grammar, vocabulary, and pronunciation foundation carefully supports the work with the four skills and gradually builds students' confidence and performance in English.